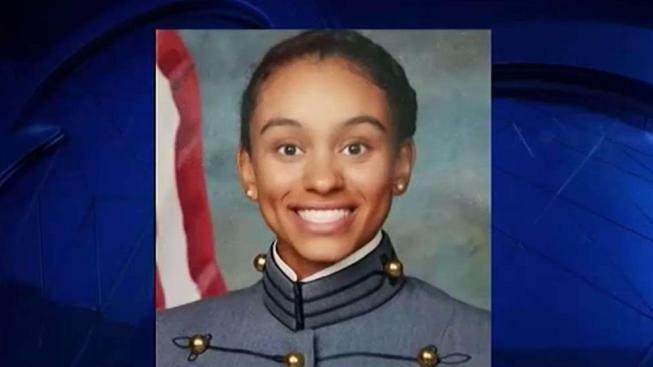 A Fairfax High School graduate will be the first African-American woman to serve as West Point’s first captain, the U.S. Military Academy Public Affairs Office announced Thursday. Simone Askew, 20, will lead a 4,440-member Corps of Cadets, according to the announcement. This is the top leadership role for cadets. Askew is an international history major and currently leads 1,502 cadets as the Regimental Commander of Cadet Basic Training II. She first set her sights on the Army when she was in just third grade. She saw midshipmen march into a Navy football game. “She saw them all in formation and rose up and asked me, ‘What does it take to lead that?’” her mother, Pam Askew said. Askew’s mentor, Priscilla “Pat” Locke, graduated from West Point in 1980, the first class to include women. Lock painted her car in celebration of Askew’s achievement. Askew was president of her class at Fairfax High School, founder of the Black Student Union and captain of the volleyball team, her family said. She is currently a member of the Army West Point crew team and the recipient of the Black Engineer of the Year Award for Military Leadership, according to the announcement. She will graduate from West Point in 2018. “She has always been a leader,” her mom said.